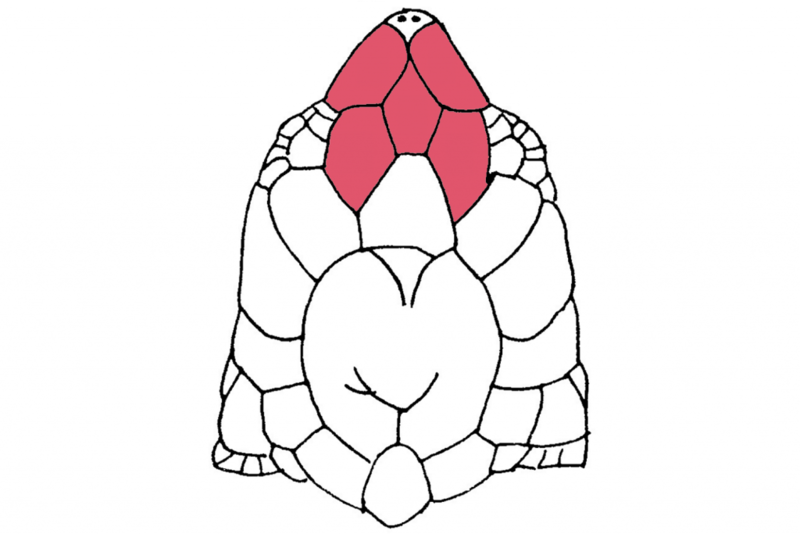 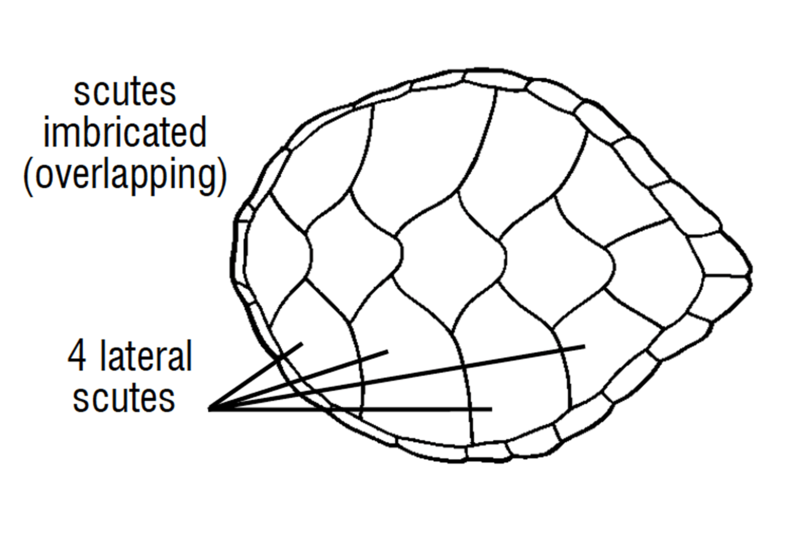 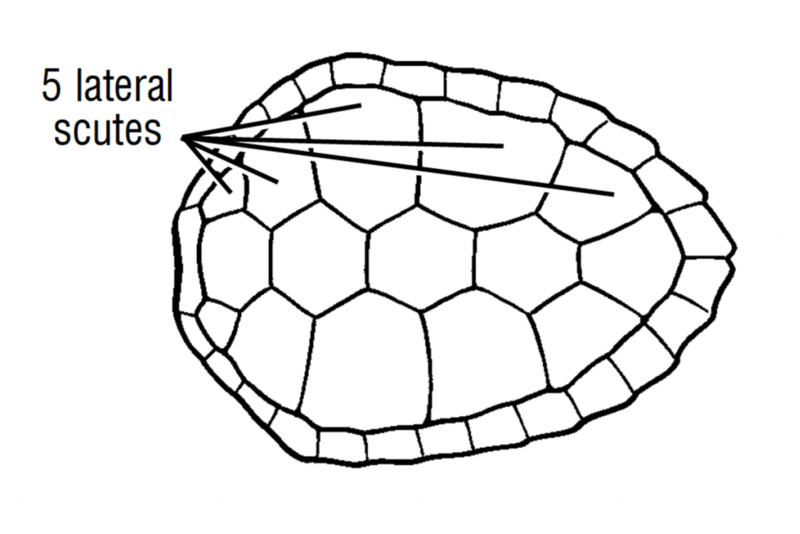 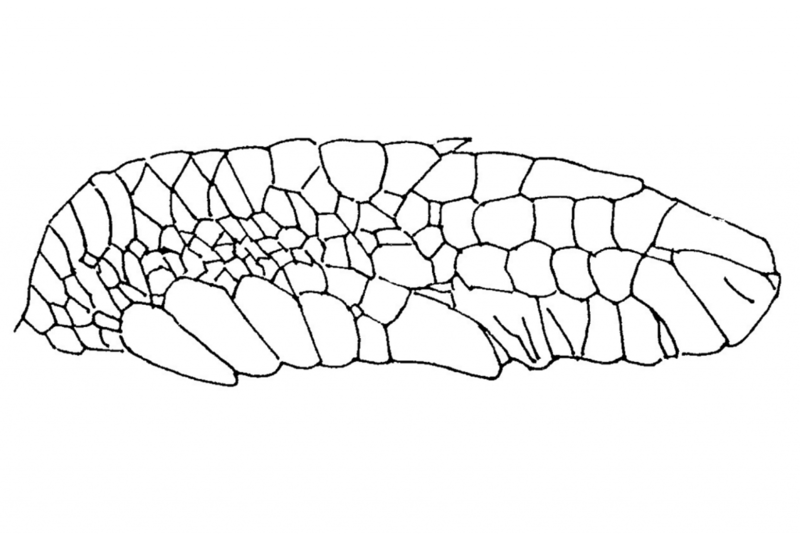 The lateral scutes of the carapace are nearly the same size as the central scutes. 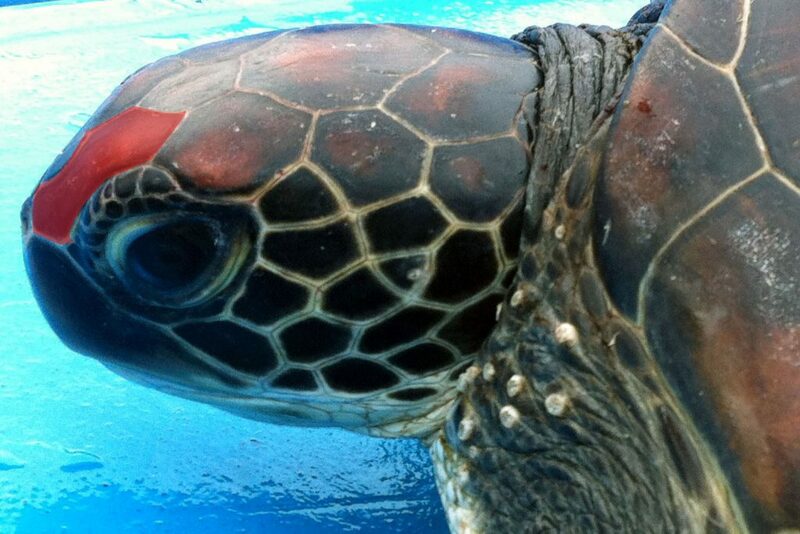 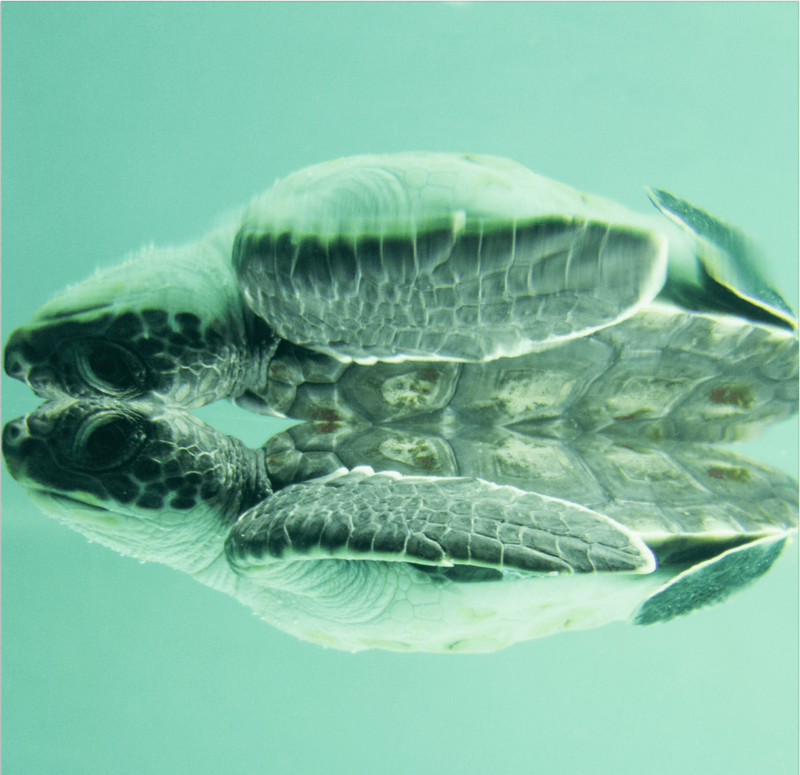 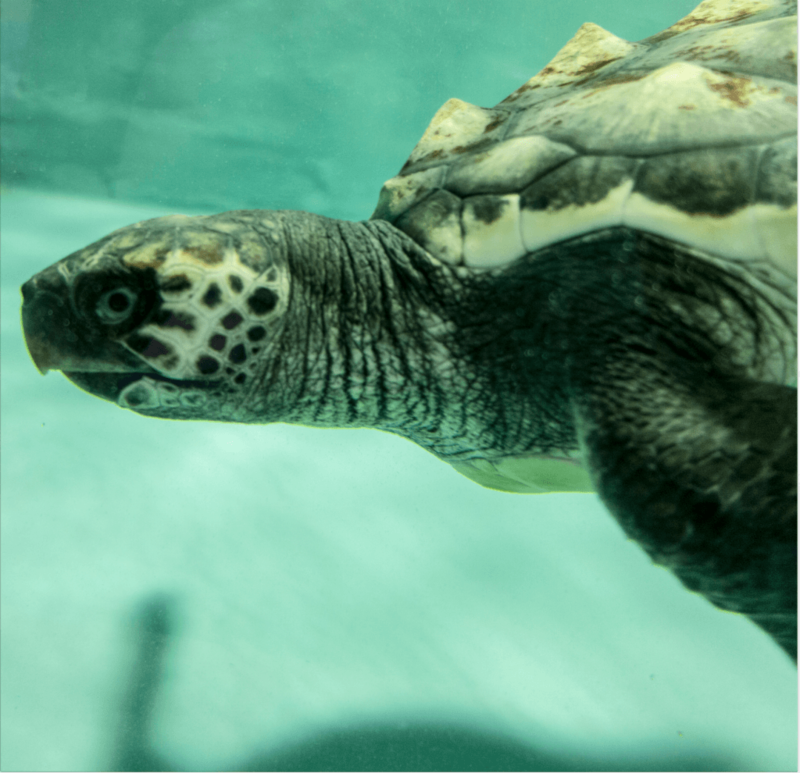 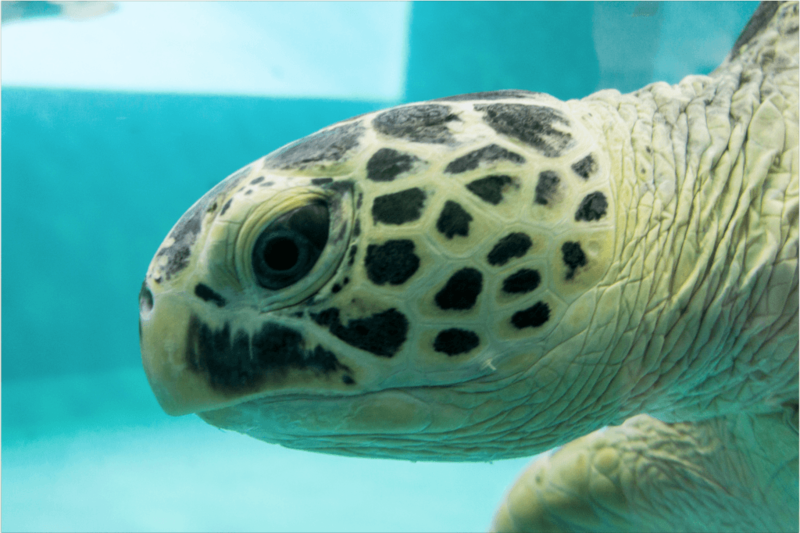 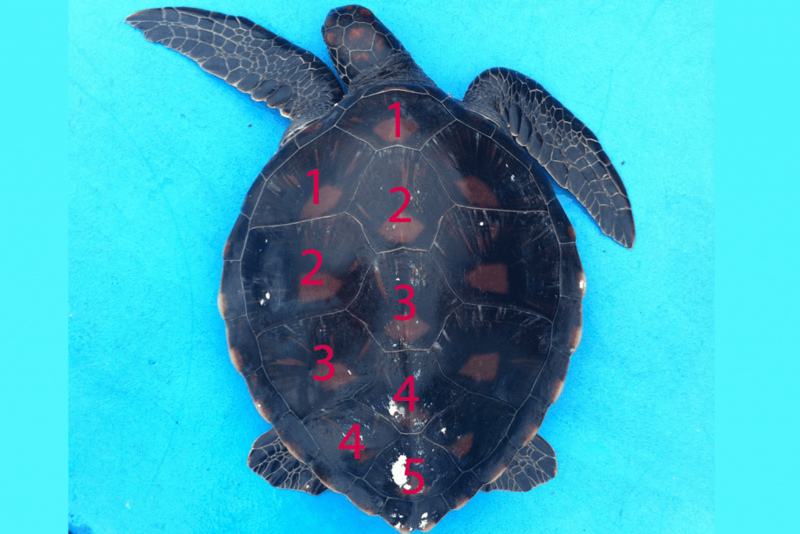 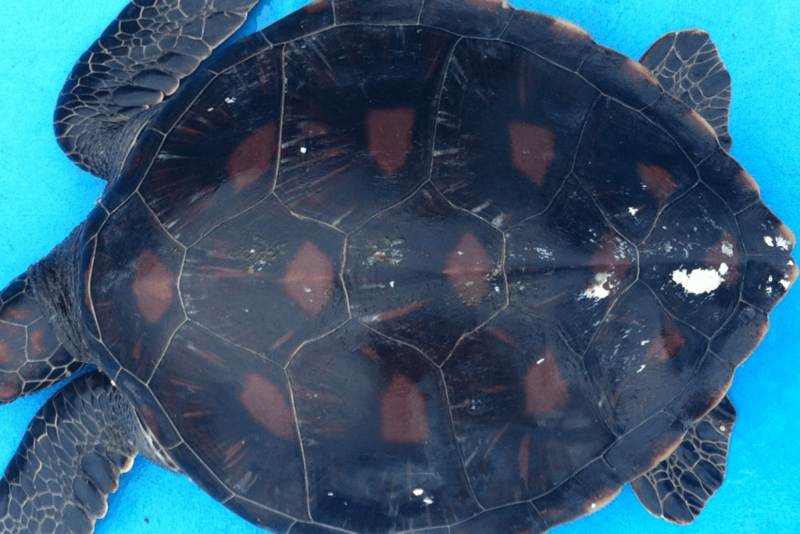 As hatchlings Green Sea Turtles are omnivores, but as adults they are herbivores, similar to many other reptiles. 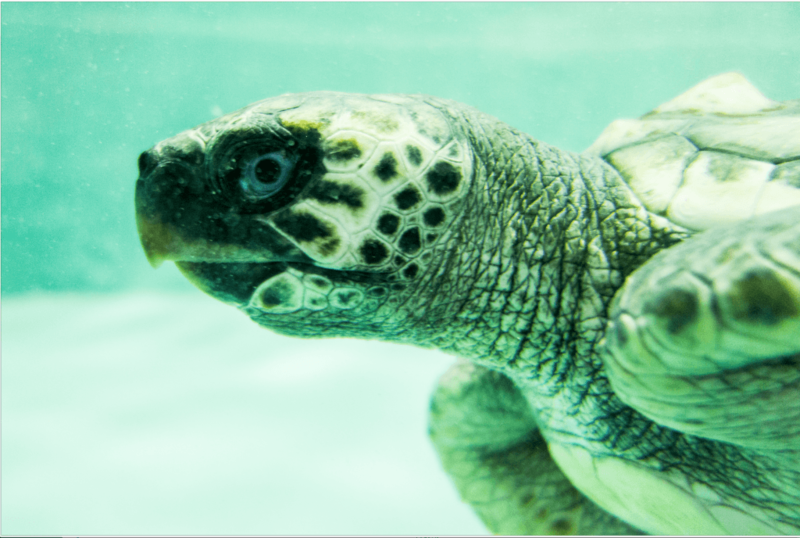 Adult diet consists primarily of algae, seagrasses, and seaweed. 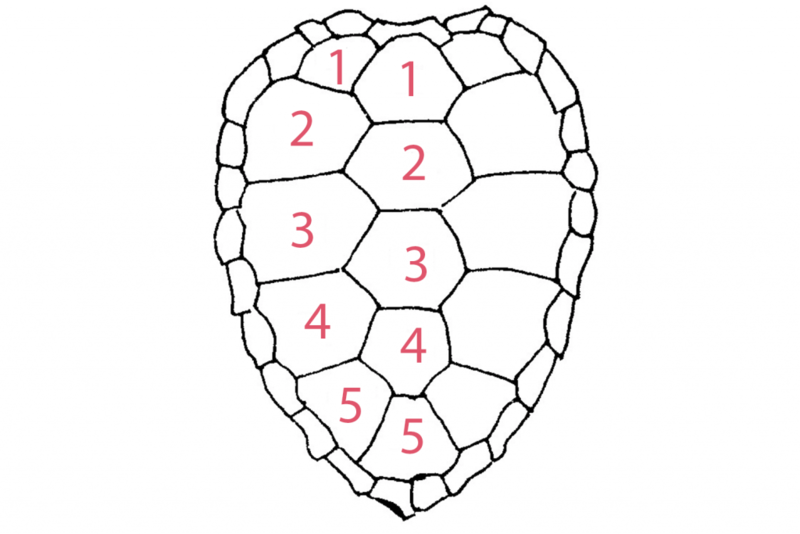 They have a finely serrated (sawlike) beak that allows them to scrape algae off rocks and tear grasses and seaweeds. 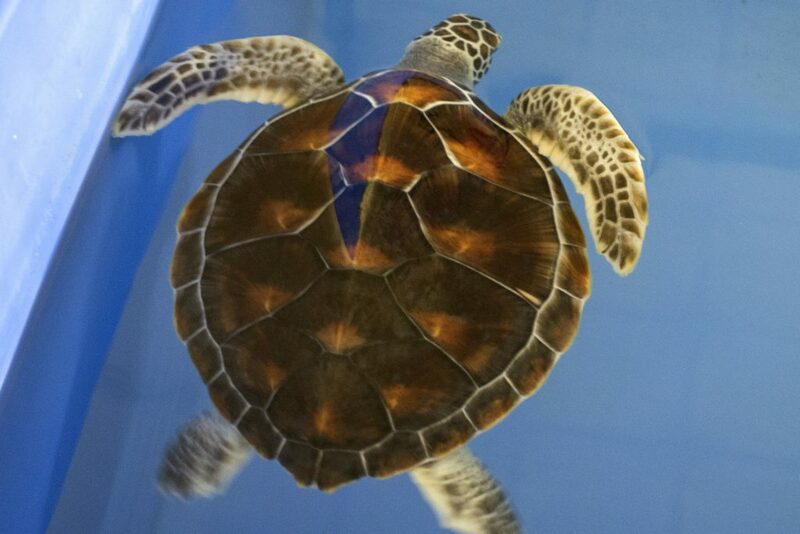 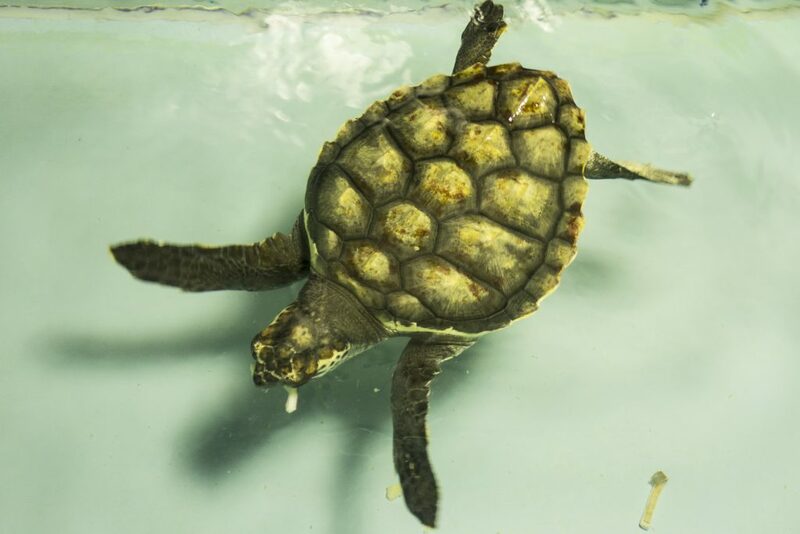 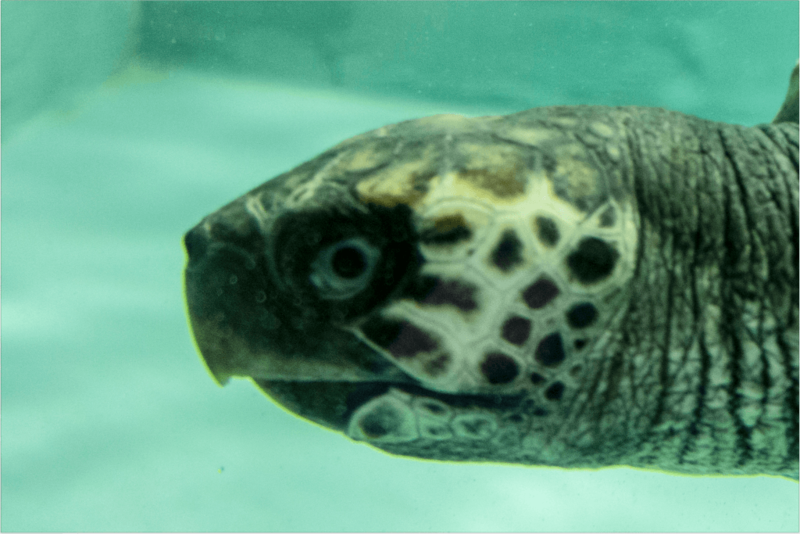 Adult Loggerhead Sea Turtles are carnivorous, eating crabs, conchs, whelks, and horseshoe crabs. 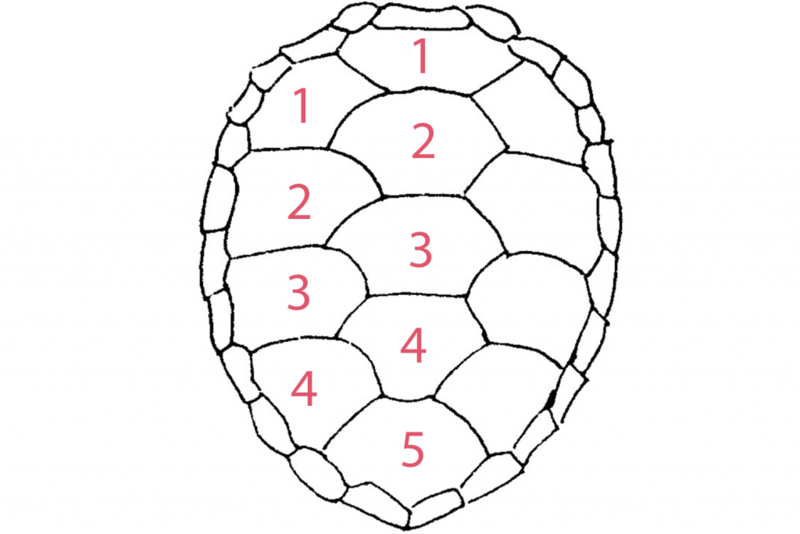 Hatchlings are omnivorous, eating both plant and animal material. 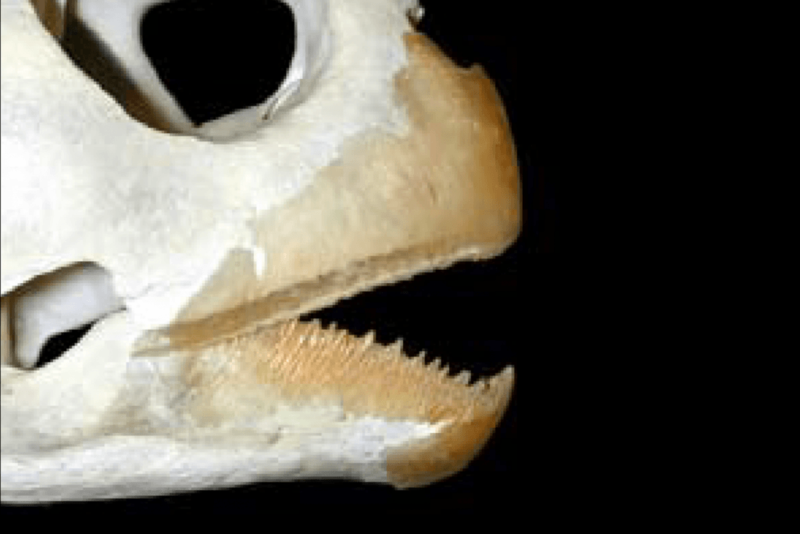 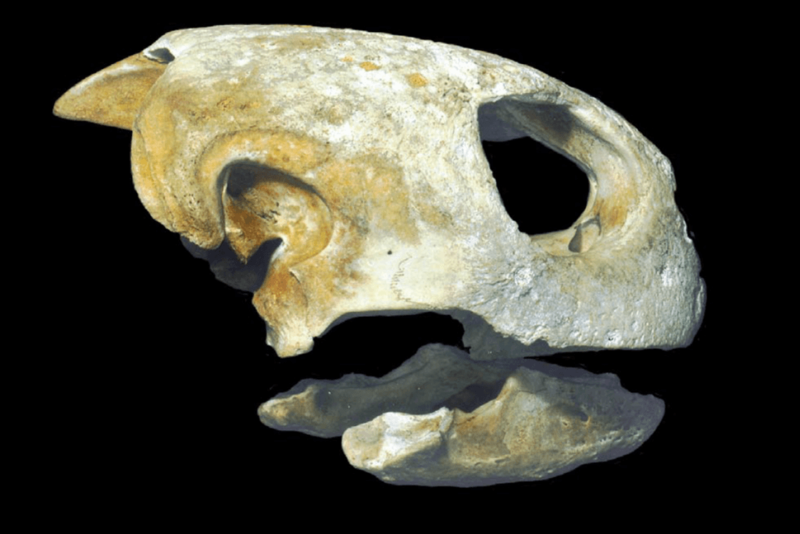 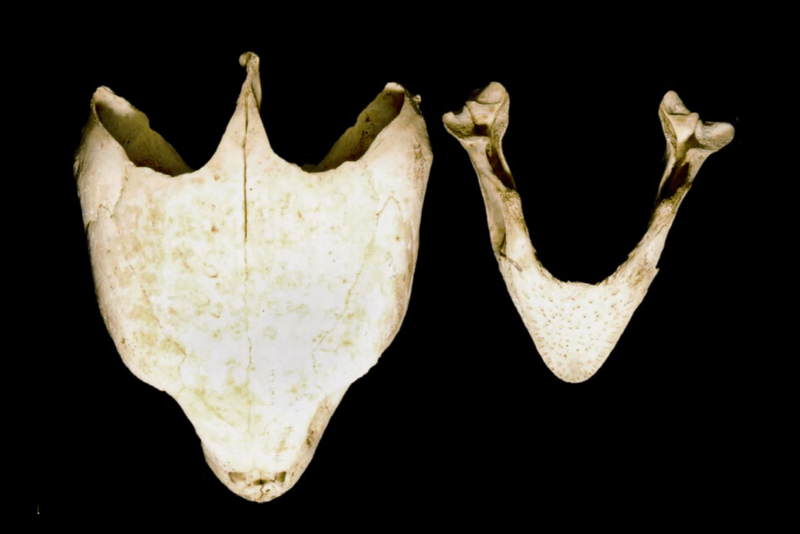 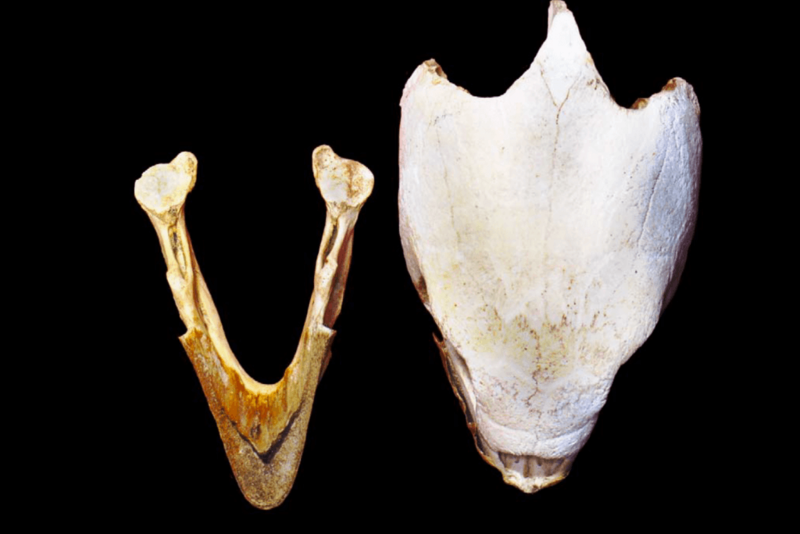 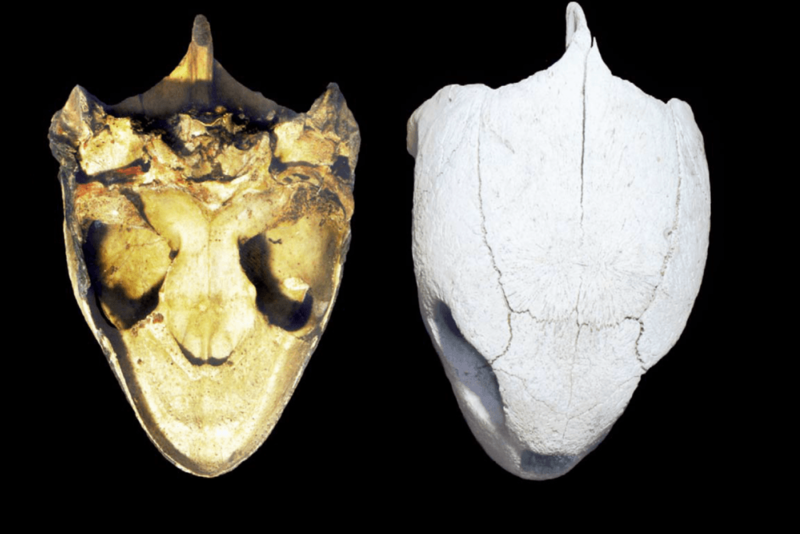 They have a massive head and strong jaws which enable them to crush hard-shelled prey. 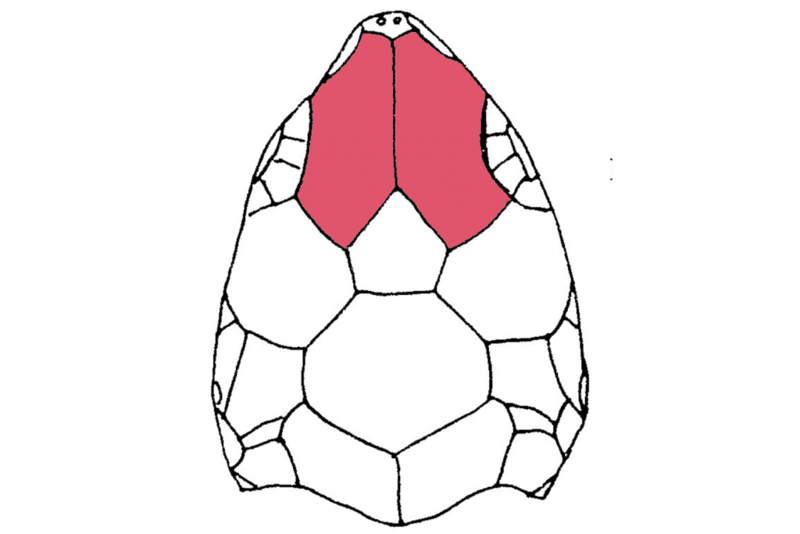 The rear edge of the carapace is deeply serrated. 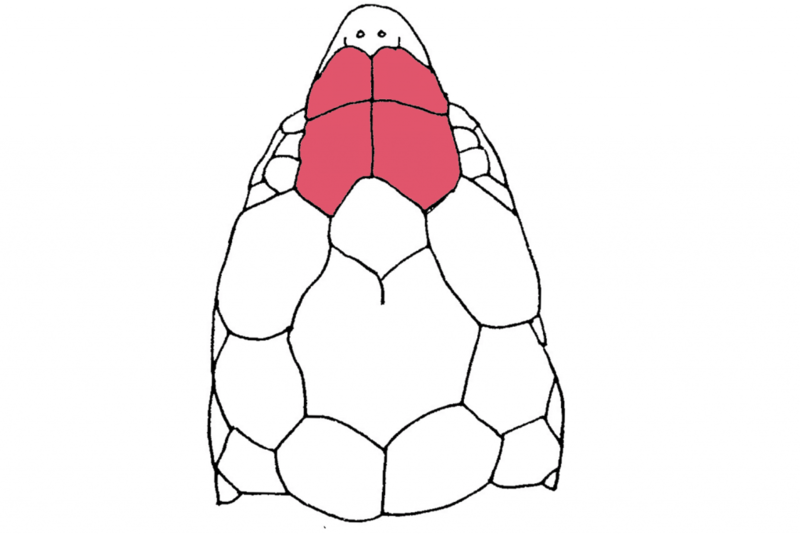 Often referred to as spongivores because of their specialized diet which consists almost exclusively of sponges. 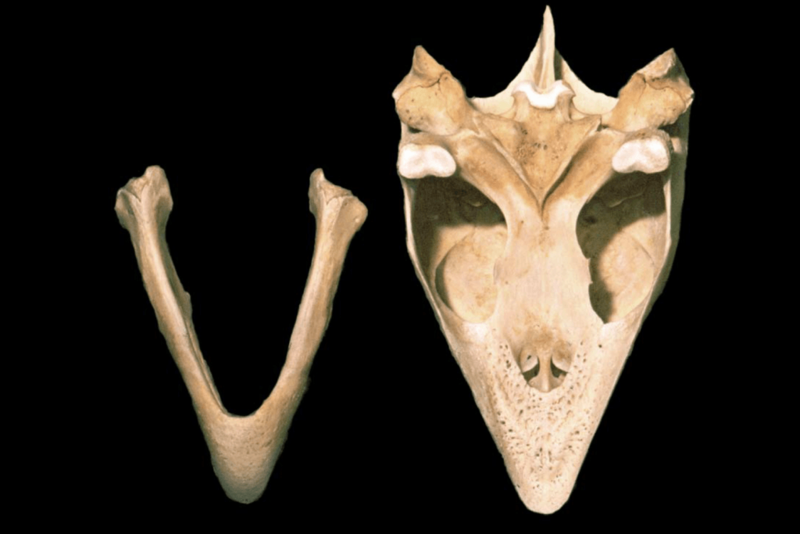 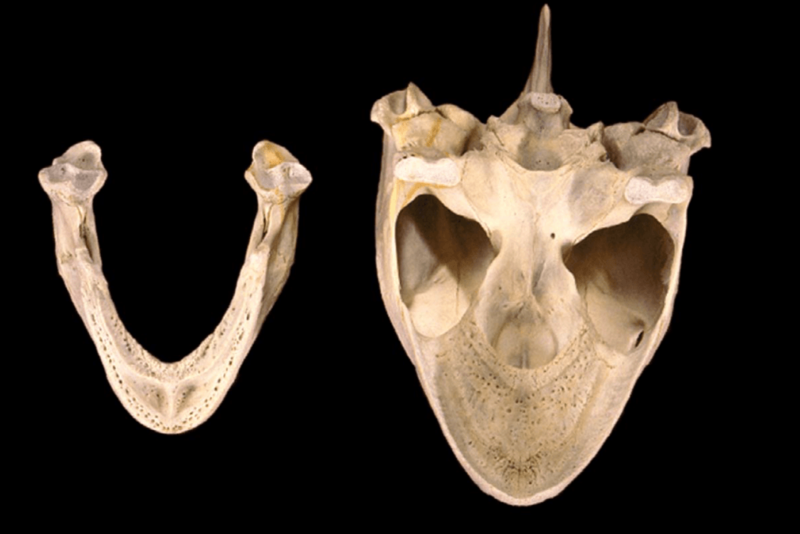 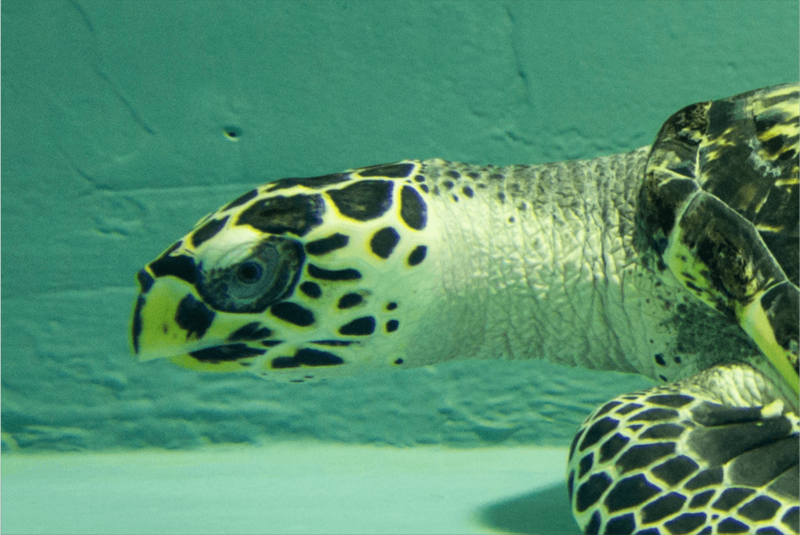 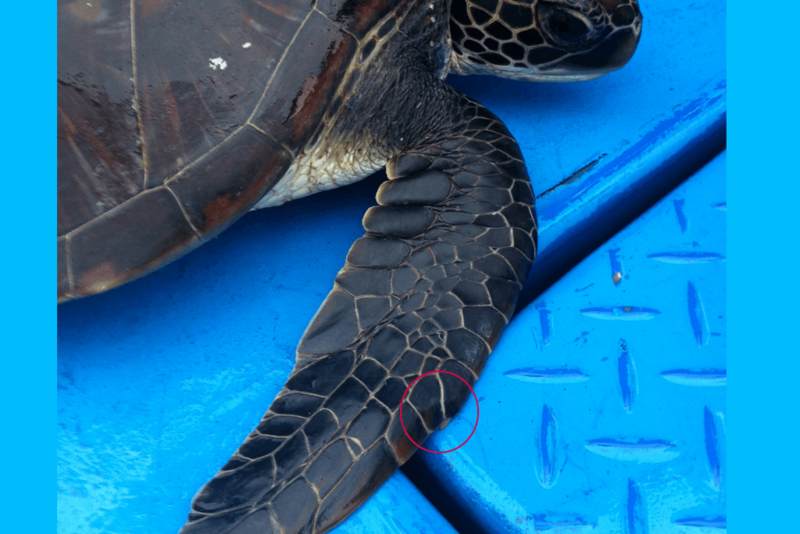 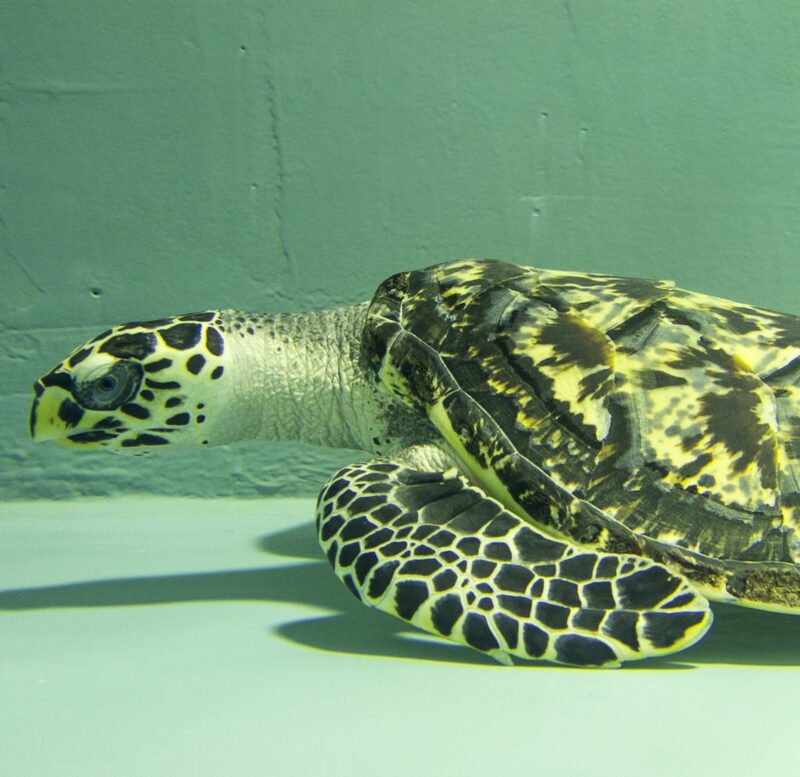 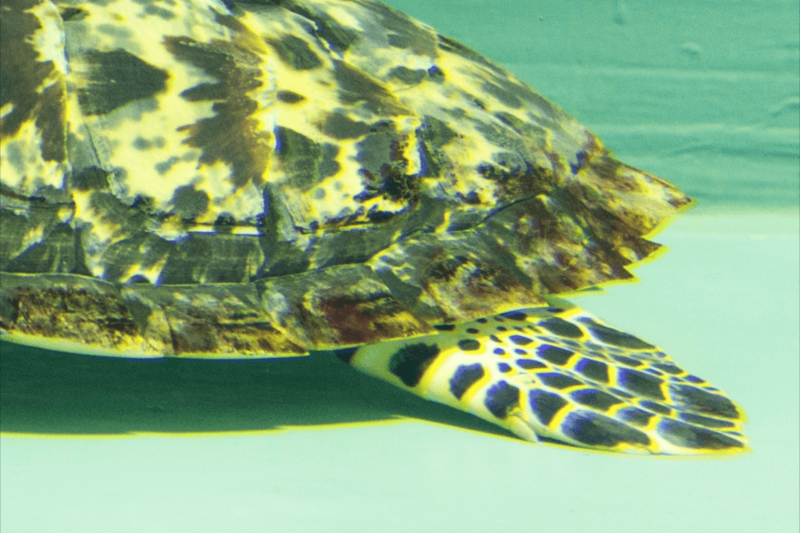 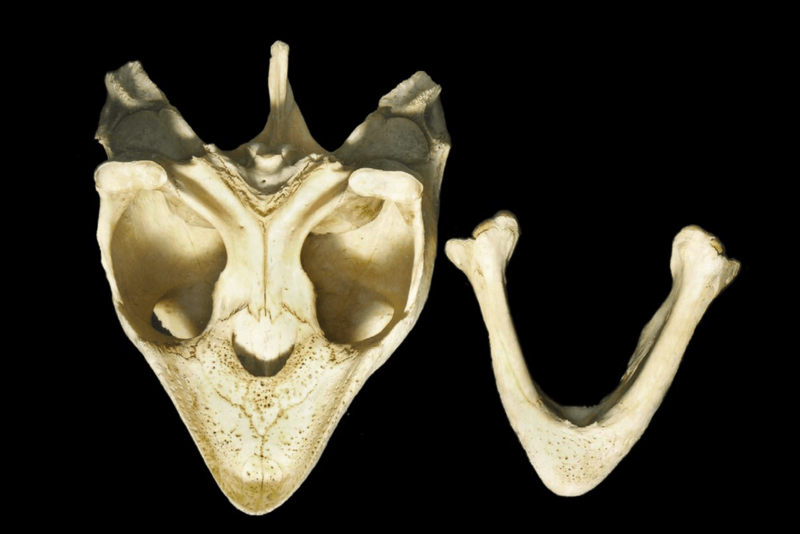 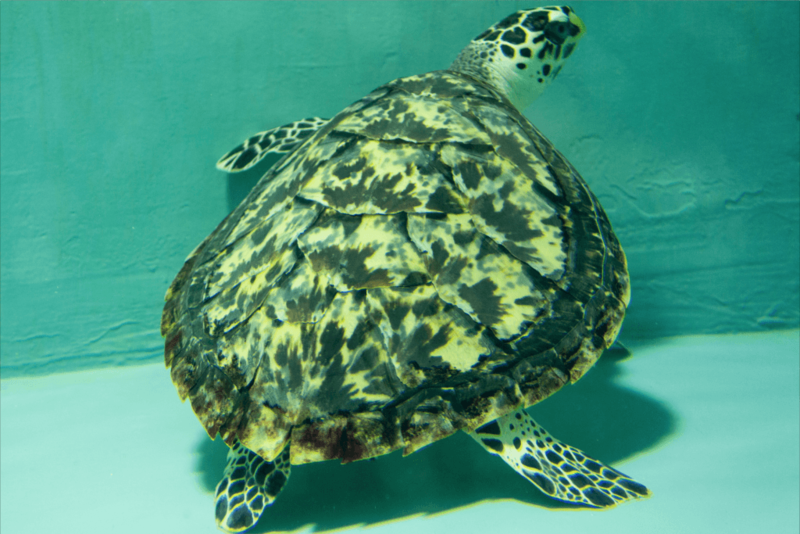 The hawksbill has a sharp, narrow “bird-like” beak that allows them to reach within crevices on the reef.